Home/What happens in a 1-1 Coaching Series? Coaching sessions are carried out either face to face or over the phone or internet depending on your preference and location. I work with clients in Ireland, UK, USA and Australia. The most popular 1-1 option on offer is a choice of the 5, 7 0r 10 hour Timebank. We start with a free 45min ‘Get-to-Know-Each-Other’ session, by phone or Skype/Zoom – this is to see if we are a ‘fit’ to work together and to find out if I’m the best support for you at this time. No strings, no sales, no pressure. That’s a promise. If you decide you wish to avail of my support, we then get into the nitty-gritty, arrange our first session, and get going. After the initial 1.5-hr session, you simply draw down 45-min timeblocks of the remaining hours in the Timebank. We keep a record of the time used. 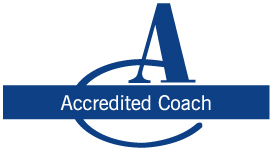 At the very beginning we clarify what you wish to achieve through working with your private executive coach. And we regularly monitor our progress, to ensure we are heading in your desired direction. The most important thing for you to know is that everything we discuss in our sessions is totally confidential to you and I. You take full responsibility for your results and will tell me what works and what doesn’t for you, as soon as you know. We will discuss any challenges. Throughout the process, I will listen, challenge and help you to reach your best outcome. I will help you create your action plan, put your plans into action and regularly evaluate your progress with you. I am happy to connect you into my network of professionals, should the need arise. At the end of the Timebank, we will evaluate your outcomes. In the rare and unlikely event that you decide you’d prefer to cease the arrangement, you will receive a full refund of the unused portion of retainer paid. To arrange your free 45min ‘Get-to-Know-Each-Other’ session, simply (1) email trudy@trudyarthurs.com or (2) call +44 (0)7810 511 600. Easy peasy.